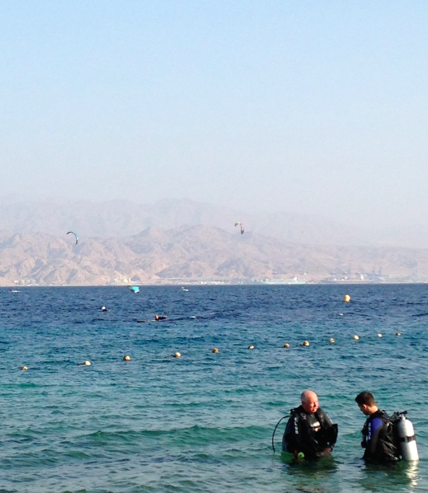 After a three day diving trip to Eilat, I trudged home from the tram stop feeling a bit, well, elderly, to be honest. 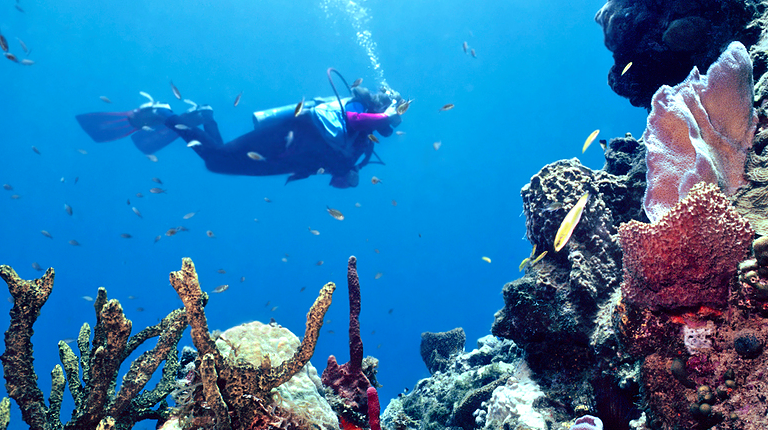 My joints hurt and I momentarily cursed Jacques Cousteau for not inventing scuba gear that weighs on land in excess of 65kg, which is a bit like carrying my mother-in-law out of the surf. Fortunately I have no pictures of me – although this might be – knees momentarily giving way as I hauled my hippopotamine carcass out of the forgiving water on to the beach, gravitationally challenged, and cutting my foot on shard-sharp shingle in the process, being gently helped landward by a muscular Swiss instructor. Which brought my thoughts to why on earth I didn’t start gambolling in the deep when I was a third of the age I am now. I was brought up in the Fifties and Sixties – if you can remember them you weren’t there – as we used to say to the spavined, generationally challenged, creatively enfeebled sons and daughters of the 70’s and 80’s. I was also reminded of bananas. I eat quite a lot of them these days – a quick-acting carbohydrate fix would have been quite welcome as I staggered drunkenly out of the water the other afternoon – but when I grew up, they were generally unobtainable. As were a few other things. A friend sent this to me the other day and it brought quite the deluge of childhood resonance to the surface. If you’re in your sixties, and English-bred, quite a few of these might ring a faint, faint bell, like a suzumushi cricket’s. They didn’t have them in the 50’s neither…. A Chinese chippy was a foreign carpenter with funny eyes. Oil was for lubricating engines, fat was used for cooking. Tea was made in a teapot using tea leaves and was never green. Indian restaurants were found in India, it was supposed. Sugar was regarded as white gold. charging more than petrol for it they would have been laughed off the playground. Coffee was Camp, and came in a long square bottle with a picture of a chap in shorts on the label. Cubed sugar was used by snobbish people. Nobody had ever heard of yoghurt. Few had heard of and nobody had ever seen a mango and certainly had no idea how to spell its plural. People who didn’t peel potatoes were lazy. 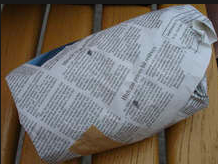 You actually read the fish and chip wrapper after you’d eaten its contents. Especially Page Three. Cooking outside was called camping, often accompanied by diarrhoea or ingestion of carboniferous carcinogens. Seaweed was another name for odoriferous bladderwrack and not recognised as food. “Kebab” was not even a word never mind a food. Surprisingly, muesli was readily available. It was called cattle feed. The only thing never allowed on the table was elbows.